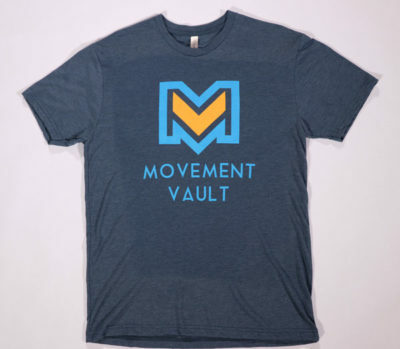 Limited Edition Movement Vault t-shirt. Printed on a Next Level tri-blend shirt. Extra soft! Color is Indigo.